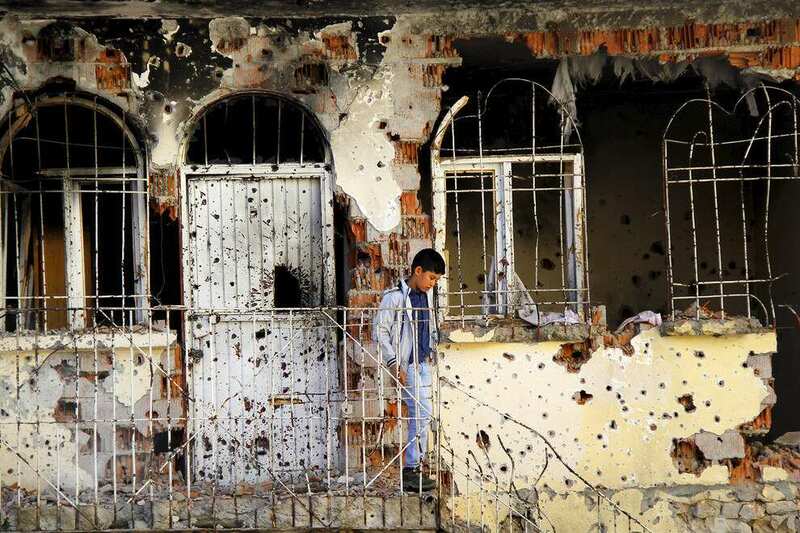 A boy stands outside a bullet-riddled house, which was damaged during the security operations and clashes between Turkish security forces and Kurdish militants, in the Kurdish-dominated southeastern Diyarbakir province, Turkey. 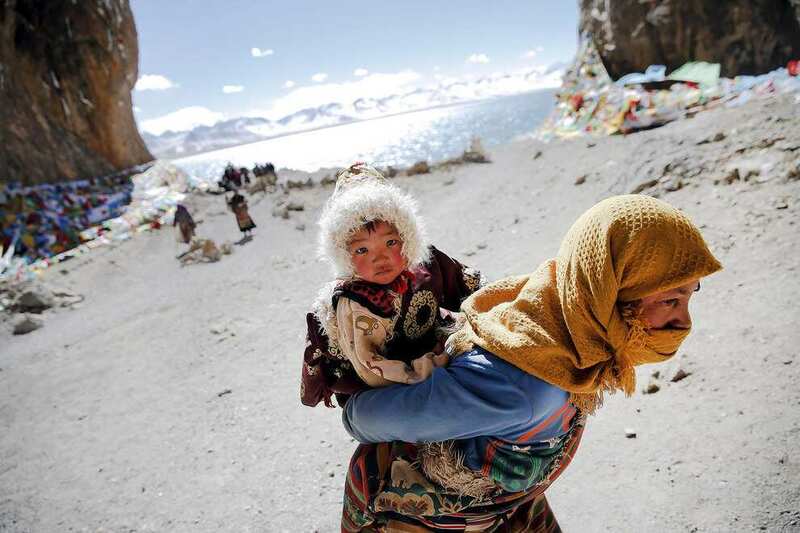 A Tibetan woman carries a child as they visit Namtso lake in the Tibet Autonomous Region, China. A Tibetan woman carries a child as they visit Namtso lake in the Tibet Autonomous Region, China. Located four hours? drive from Lhasa at an altitude of around 15, 479 ft above sea level, Namtso lake is not only the highest saltwater lake in the world but also considered sacred, attracting throngs of devotees and pilgrims. 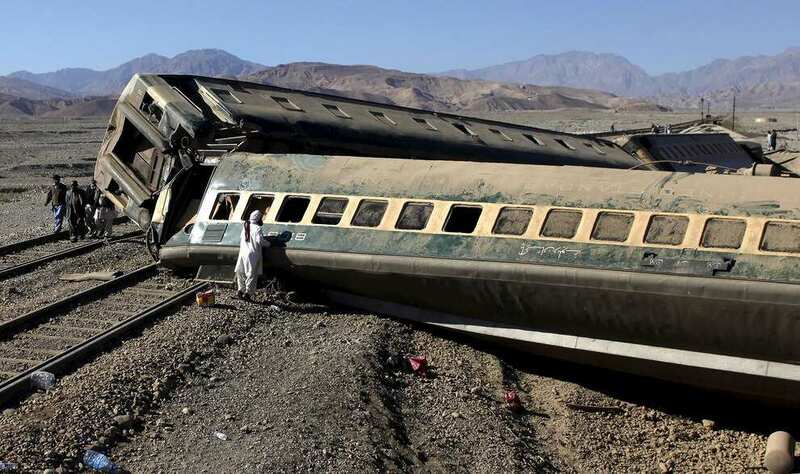 A passenger looks for his belongings after a train derailed in Quetta, Pakistan. Firefighters and animal rescuers inspect the carcasses of long-finned pilot whales stranded on a beach in the northern French city of Calais. Firefighters and animal rescuers inspect the carcasses of long-finned pilot whales stranded on a beach in the northern French city of Calais. 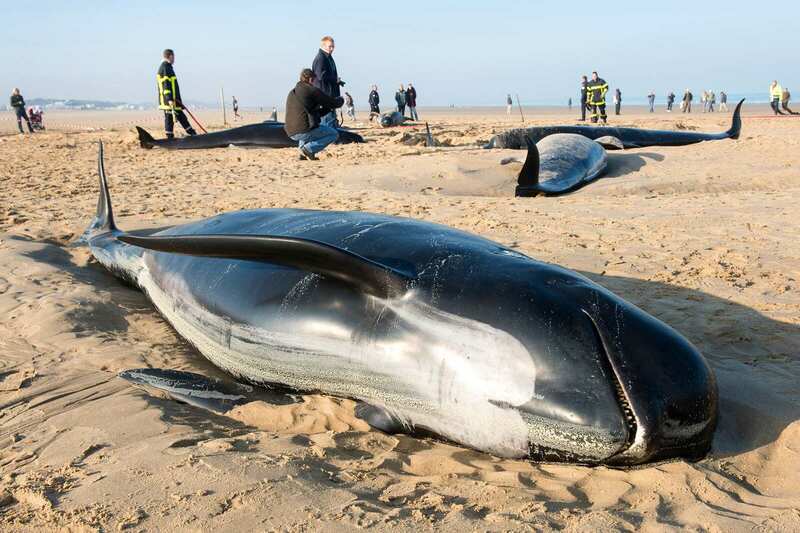 Six of the ten beached whales had already died by the time firefighters and members of the local Animal Protection League got to the scene, but they were able to revive four of the mammals, including two calves, and helped them return to the sea. 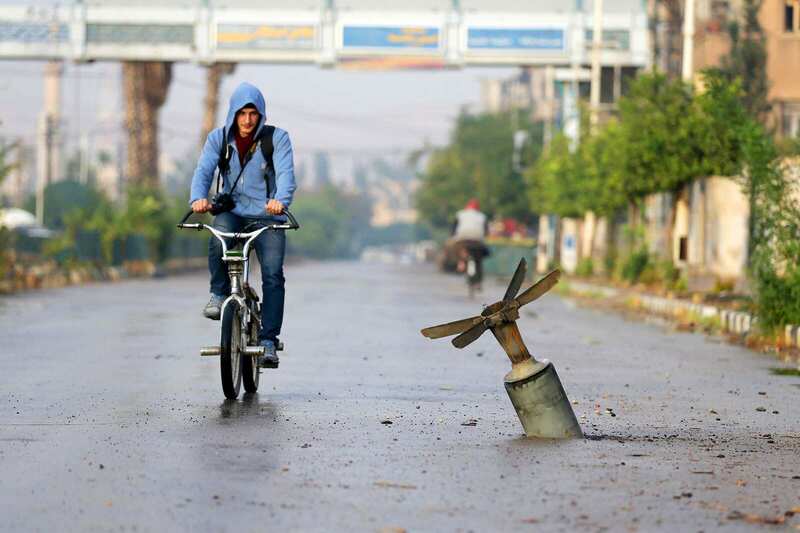 A young man rides his bicycle near what activists said was an exploded cluster bomb shell in the town of Douma, Syria. 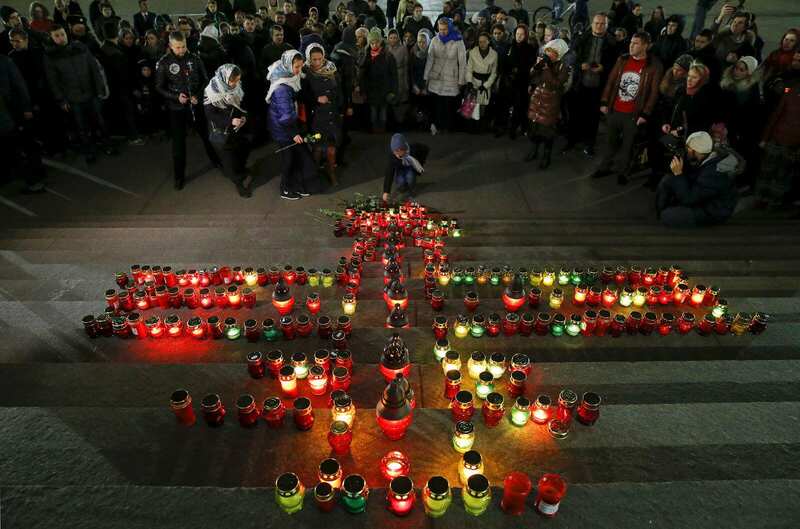 People lay flowers to commemorate victims of the Russian airliner crash in Egypt, on the stairs of the Christ the Saviour Cathedral in Moscow. 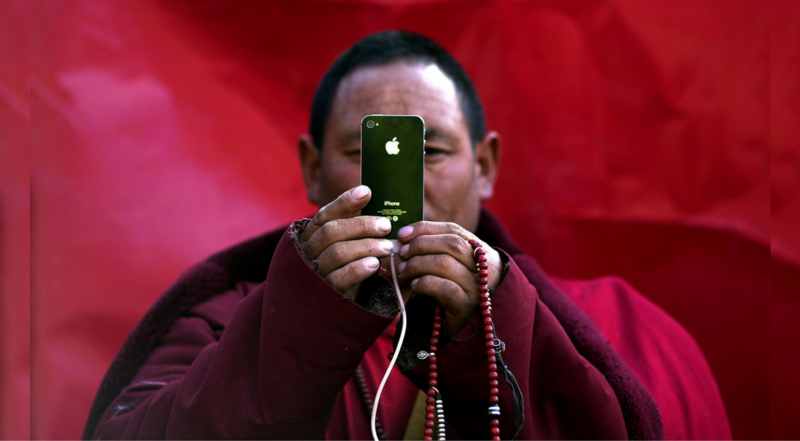 A Tibetan Buddhist monk takes pictures with his smartphone of a daily chanting session at a Buddhist laymen lodge during the Utmost Bliss Dharma Assembly in Sichuan province, China. 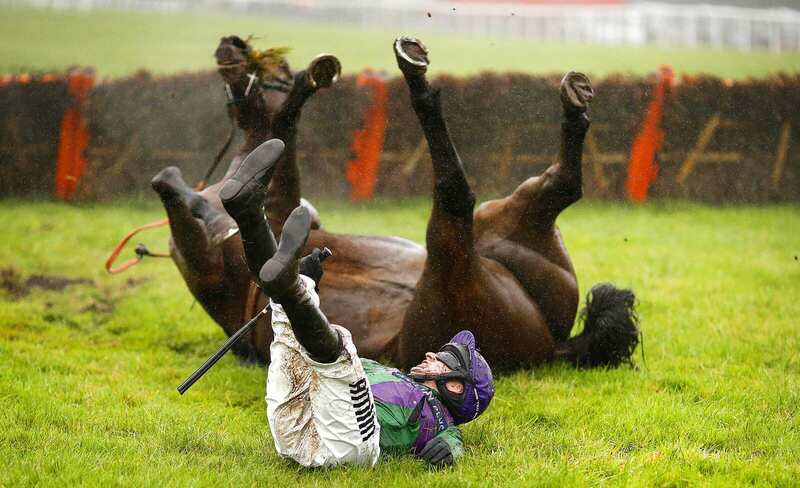 Tom O?Brien falls from his horse Gala Ball at Exeter racecourse in Exeter, England. 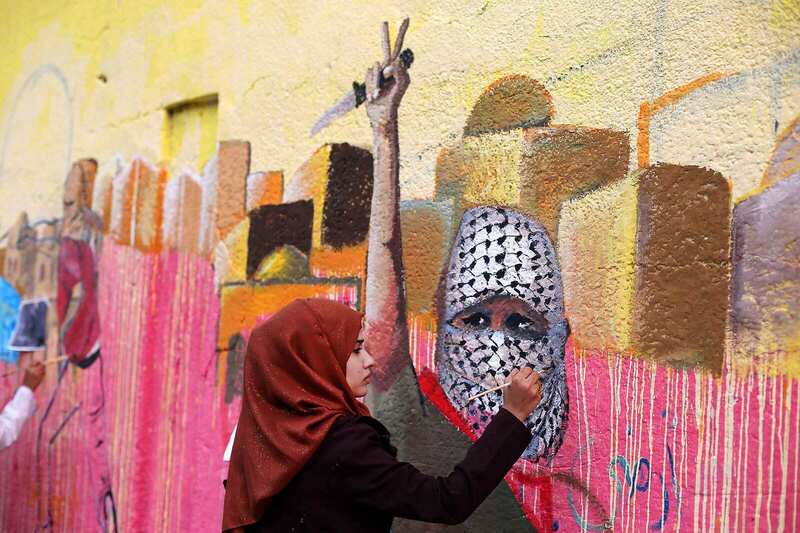 A Palestinian woman paints a mural, depicting a masked Palestinian holding a knife, in support of Palestinians committing stabbing attacks against Israelis. 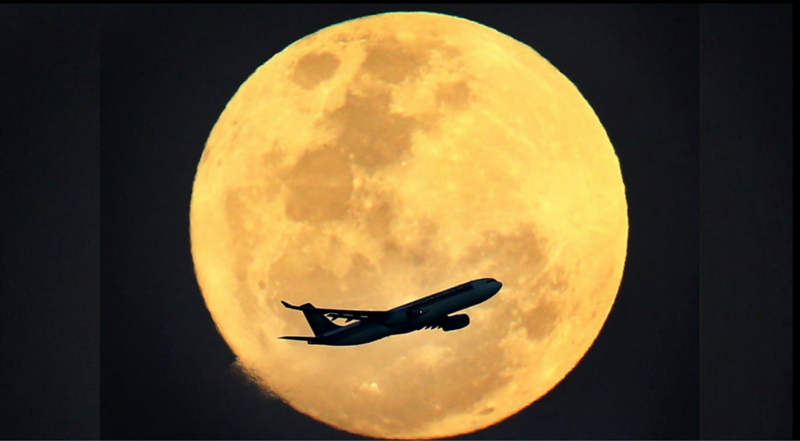 A plane flies in front of the supermoon after taking off from Brisbane Airport in Brisbane, Australia. 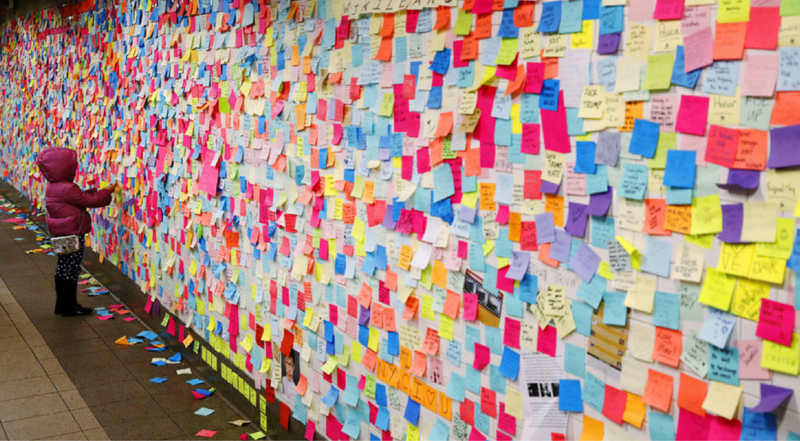 A young girl adds a message written on a post-it note to a display in New York City that was started in reaction to the election of President-elect Donald Trump. 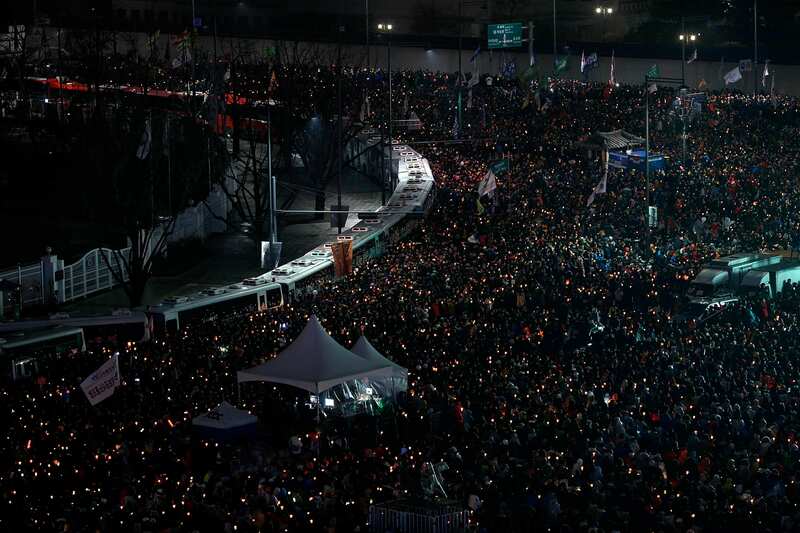 Protesters hold candles during an anti-government rally in central Seoul, with organizers claiming a million-strong turnout. 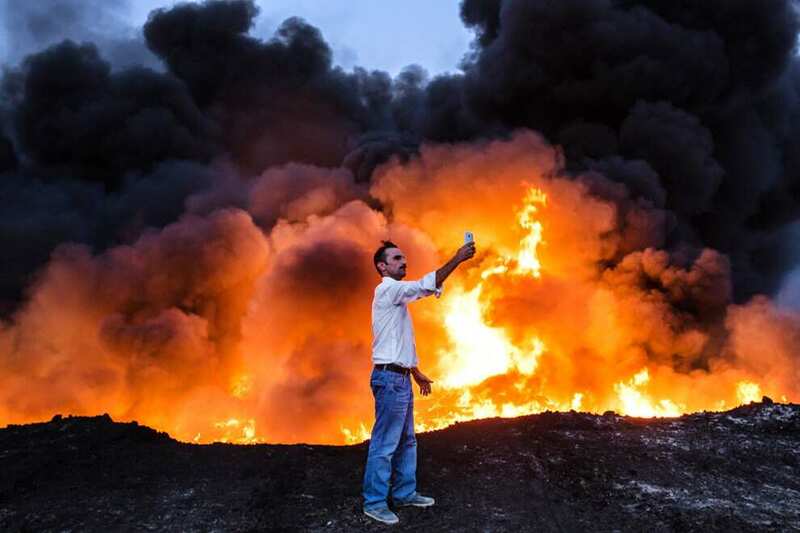 A man takes a selfie in front of a fire from oil that has been set ablaze in the Qayyarah area, some 35 miles south of Mosul. 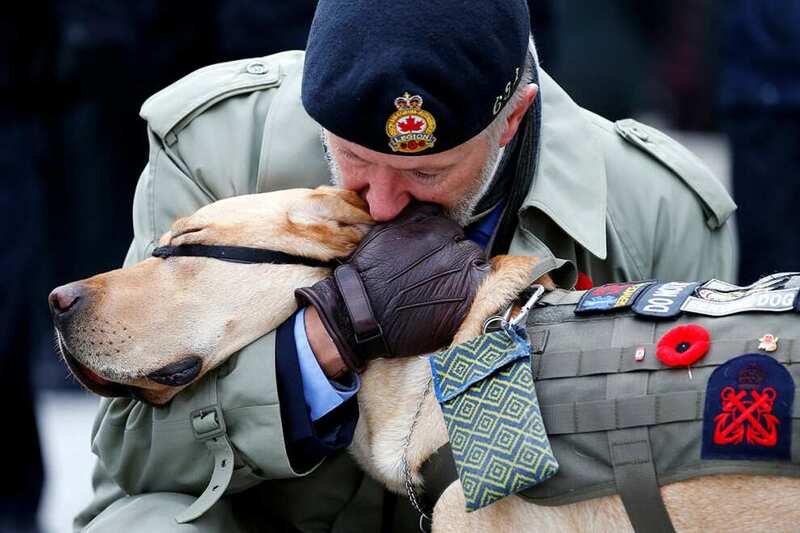 A veteran embraces his service dog during Remembrance Day ceremonies at the National War Memorial in Ottawa, Canada. A fighter from the NPU (Nineveh Plain Protection Units) waks through a destroyed church on November 8, 2016 in Qaraqosh, Iraq. 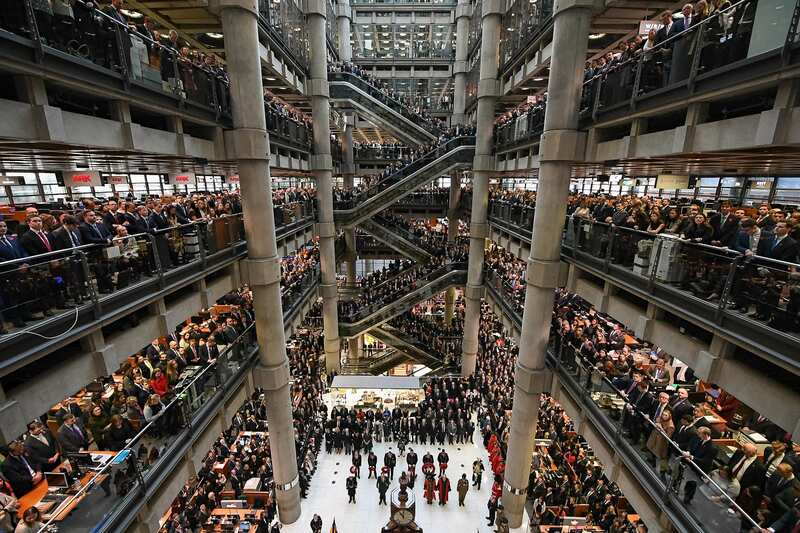 Workers and guests mark the two minute silence for Armistice Day in the Lloyd's Building on November 11, 2016 in London, England. 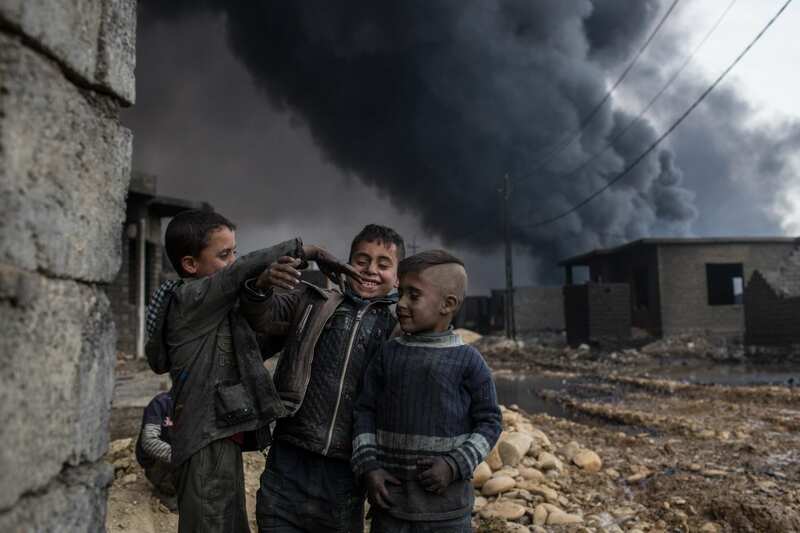 A group of boys play in a street outside their home in front of a burning oil well set on fire by fleeing ISIS members on November 10, 2016 in Al Qayyarah, Iraq. 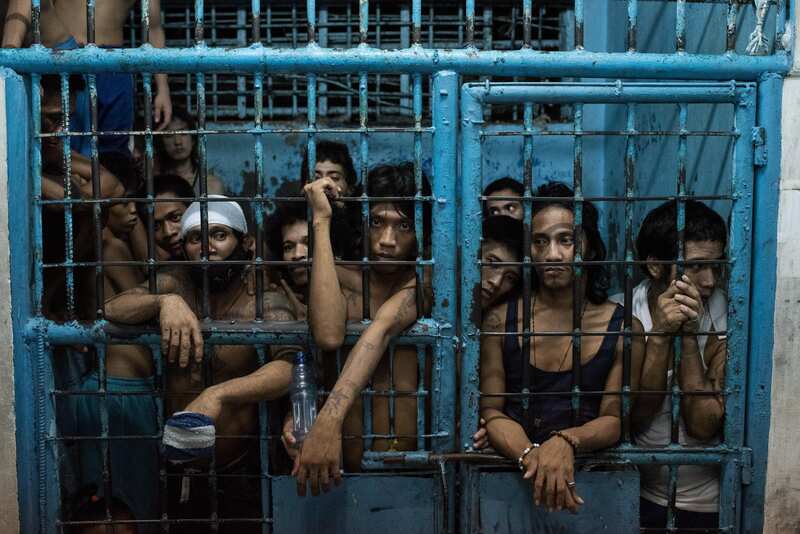 Inmates watch as drug suspects are processed inside a police station on October 12, 2016, in Manila, Philippines. The Duterte administration shifted to the next phase in its war on drugs after the first 100 days of President Rodrigo Duterte as over 3,600 people have been killed while more than 700,000 drug dependents surrendered to authorities. 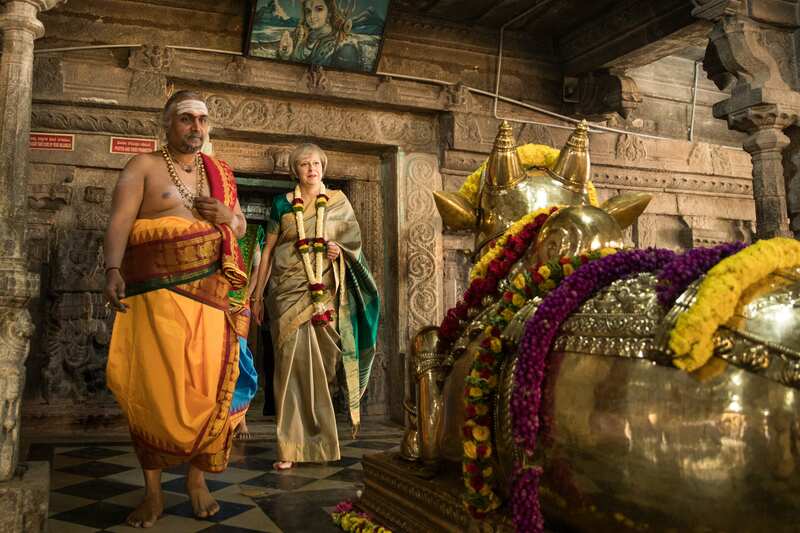 British Prime Minister Theresa May is welcomed to the Sri Someshwara Temple on November 8, 2016 in Bangalore, India.